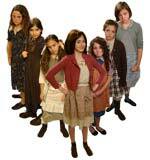 Most little girls dream of playing Annie, and Brigid, was lucky to live this dream. After finishing her Broadway run in Mary Poppins, she was given the opportunity that very few professional child actors get...she played the role professionally for her home town audience. This was made possible because of an exciting new theatre company in Southern New Jersey, Bellarine Theatre Company. This company has quickly become known as a progressive group that puts on high quality shows, featuring the finest performances from actors across the region. After producing a stunning production of "Next To Normal", and being the first company to debut the show in the region, Bellarine's next production "Annie" was highly anticipated. Brigid auditioned and was thrilled to be offered the role. 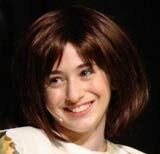 Working as an Equity actress in her home town area, made the dream of playing Annie something that she will never forget. Hopefully, the audience also won't forget how she sang those iconic songs and brought this lovable character to life on stage. Brigid was reunited with many familiar faces. Director and Bellarine Theatre Company founder Jessica Evans, and Musical Director Patricia Keating were two people who were most influential. 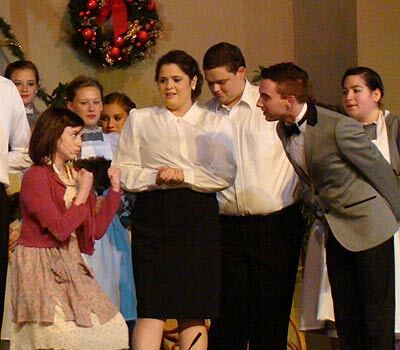 Expert direction from people who care about their actors and their craft, not only made this production a wonderful experience, it also gave the actors an environment to give their best possible performance, and it showed. Brigid enjoyed working with old friends and the many new friends she made. As an experienced actor, Brigid looked to bring dimension to a character that can sometimes be viewed as one dimensional. More than just being cute and spunky, she wanted to bring depth to her Annie. 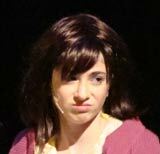 Of course the challenging singing vocals had to be spot on, and with preparing for many "Annie" auditions and callbacks both on and off Broadway she was more than up to the task. It was the character's levels of emotion that she wanted to portray most. The end product was something Brigid was very proud of. Working with her director she was able to bring an Annie to the stage that was much more than a comic strip character. She was real. Tough and caring, innocent yet street wise, optimistic while being realistic. A range of feelings that makes her interesting to an audience that ranges from people who know the story very well to those just being introduced to this stage classic. After playing the role of "Molly" when she was 7 years old, Brigid always looked forward to the day when she would have the opportunity to play "Annie". The fact that she was able to do it when her singing and acting skills had been developed as a professional made it special. To also do it with an amazingly supportive cast, crew and in front of a local audience made this an experience that she will always look back on with fond memories. "Annie" Meets With Local Aspiring Broadway Kids! 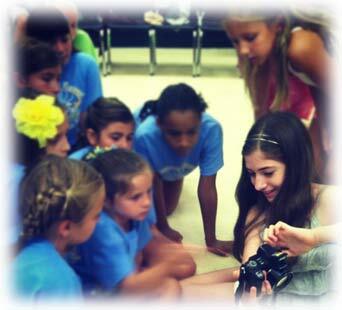 Brigid was honored to be able to stop by the Pinelands SBYS Broadway Adventure Camp and talk to the campers. 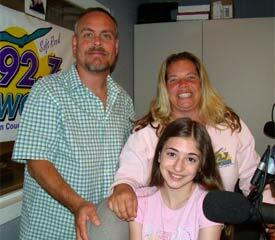 She was able to share a lot of stories and experiences with them; from what it's like on Broadway, to the thrill of being on a Disney Channel show every day. The kids had great questions and Brigid just loved being around other children who have the same dreams and aspirations as her. Brigid had a great time playing theatre games and talking with everyone. It was nice to see so many children thriving in this great community program. With programs like these, it is a sure thing that the love for the arts will continue to grow strong in new generations. "MARY POPPINS' Brigid Harrington to Star in Bellarine Theatre Company's ANNIE, 8/16-18"
Read feature article on BroadwayWorld.com. "Photo Flash: First Look at MARY POPPINS' Brigid Harrington as Bellarine Theatre Company's ANNIE"
Read BroadwayWorld.com's feature article and view photos from dress rehearsal. 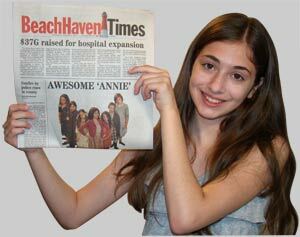 "AWESOME 'Annie'" Read Gannett newspapers' featured article here. 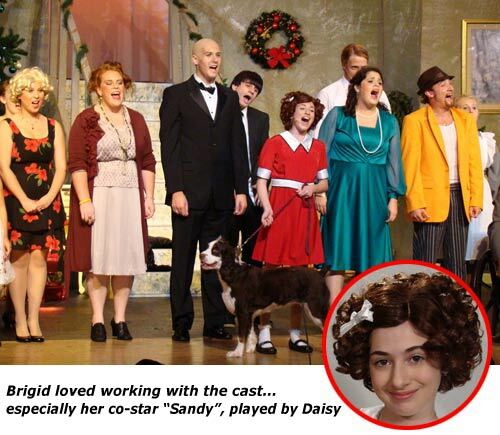 "Broadway's 'Jane Banks' Becomes Bellarine's 'Annie'"
Read Rick Mellerup's article on Brigid in The SandPaper. "Leapin Lizards!! There's a Broadway & Disney Channel Star in Little Egg!" 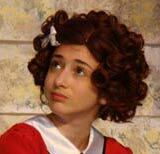 OceanHappenings.com's online coverage of what's fun & exciting in Ocean County covers Brigid being cast as Annie. Returns To The Local Stage"
Click here to listen to Brigid's interview on WOBM's website. Listen & watch (below) to Brigid & Bellarine Theatre's Artistic Director Jessica Evans being interviewed by WBNJ Station Manager & host William Clanton for their "Jersey Shore Spotlight" segment.